Martin Dvorak and 4 friends were drinking coffee 4 decks down when the Japanese attack on Pearl Harbor bagan. They climbed and crawled on hands and knees to get to top side. They had to jump overboard and swim to Ford Island. After the attack he had his tour extended and served until September of 1945. 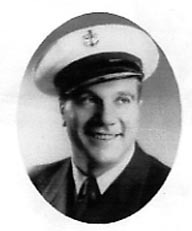 He went on to serve on USS San Juan where he was involved in 13 sea battles including the Battle of Midway. After returning home in 1945 he married Daisy Price and they had a daughter who died at birth. He always remembered his friends and his time in the service. He lived in Hills, Iowa until the time of his death. He attended the 50th reunion in Pearl Harbor 1991.